Get Involved/Donate - Mercy Rescue and Adoption​​, INC.
Mercy Rescue and Adoption​​, INC.
Volunteer at our monthly spay/neuter transports the second Monday and Tuesday of each month. You can also volunteer at our sign-ups! Volunteer by fostering! Many homeless animals in our community need the love and care families can offer! On 4-28-17 Gypsy was pulled from our animal control with lots of skin issues. She had an owner who refused to get her any care. Your donations help us with her needs! Thank you for helping Gypsy. Click link below to donate via paypal. All donations are tax deductible and are greatly appreciated to help with veterinary care and spay/neuter services. 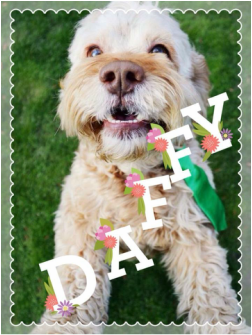 Donations help pay for dogs like Daffy. He has monthly seizure medicine that costs around $250.00 and he has to have surgery to remove both eyes due to glaucoma.